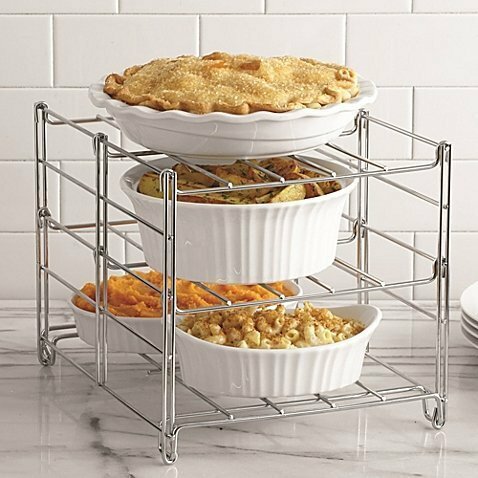 Maximize your oven and counter top space with this 3-tier adjustable oven rack. Collapsible for easy storage, this rack fits most ovens and is a must-have for any kitchen in need of some extra space. Bake Ware NOT included…. 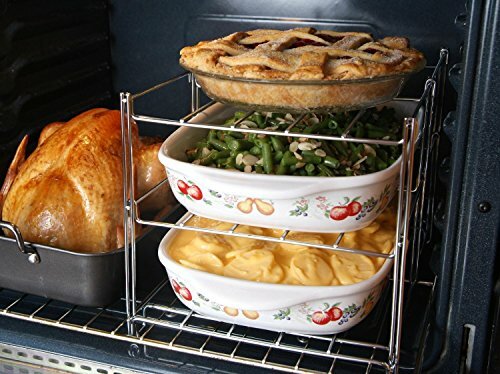 Maximize your oven space with this 3 level oven rack. 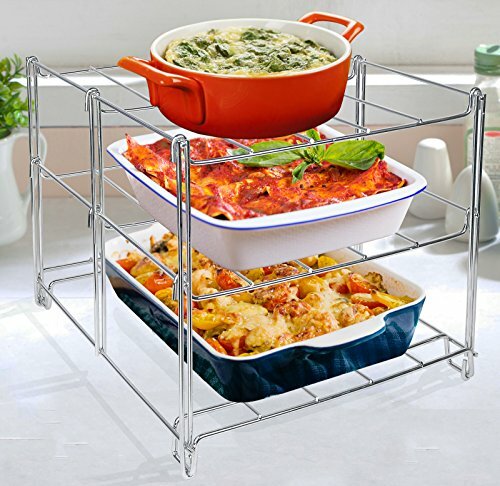 Holds up to three heavy casseroles one per shelf. Easy to assemble and folds flat for easy storage. Dishwasher and oven safe. 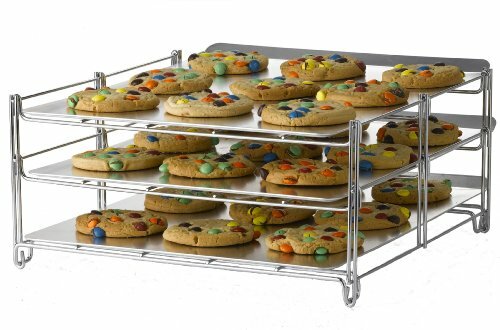 The Nifty 3-in-1 Oven Rack saves precious time when baking your favorite treats. The unique three tier design allows you to bake up to 4 layers of cookies or pizzas at the same time. 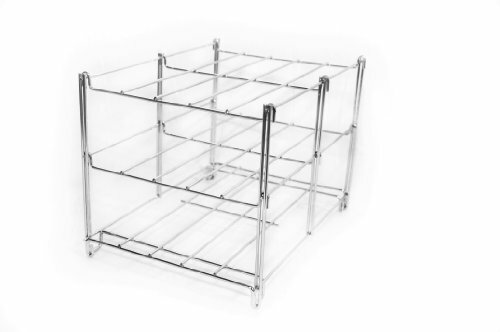 The Nifty 3-in-1 Oven Rack also folds flat for easy storage. The Nifty 3-Tiered Oven Companion makes the most efficient use of your oven space. It enables you to bake up to three tiers of heavy casseroles along side of a large roasting pan. The Nifty 3-Tiered Oven Companion’s unique design folds flat for easy storage and is dishwasher safe.